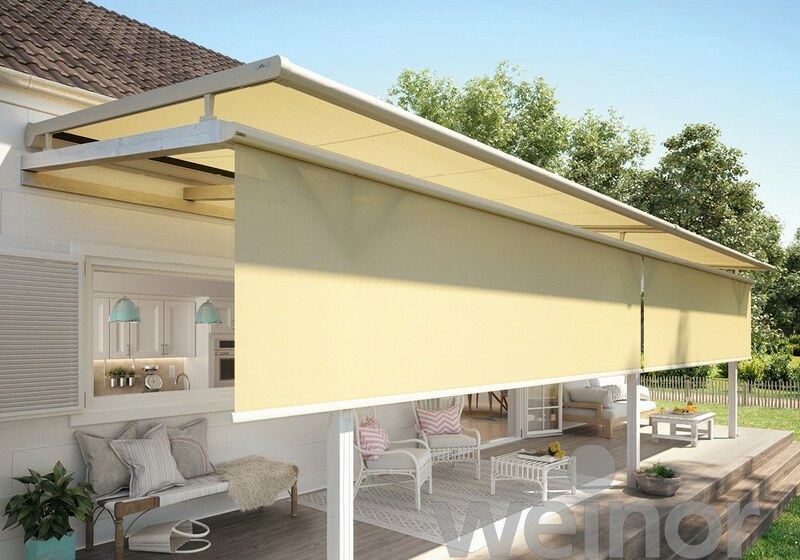 The VertiTex II vertical awning offers protection from the dazzling sun, prevents the patio and indoors from becoming uncomfortably hot and shelters you from prying eyes. 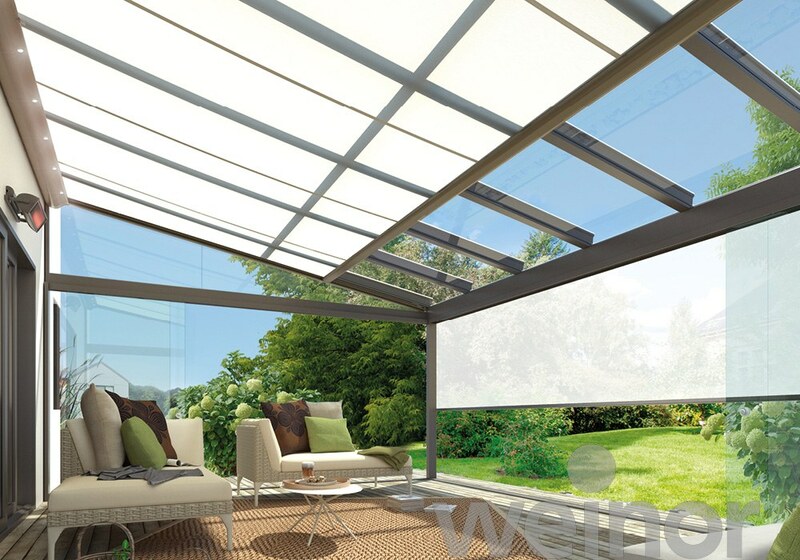 Regardless of whether it’s for the patio roof, pergola awning, window, balcony or conservatory: the VertiTex II is always perfect. 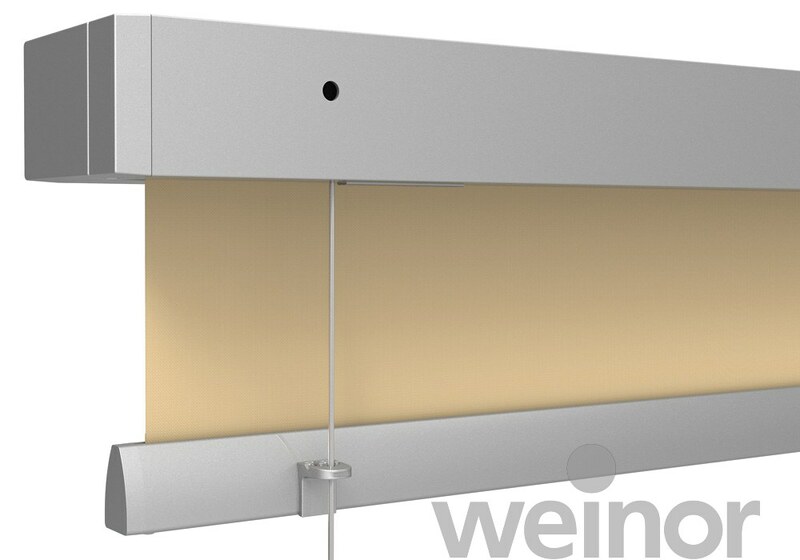 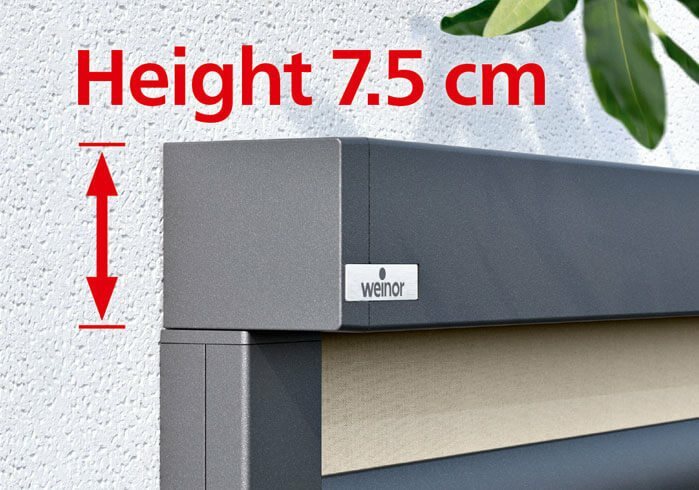 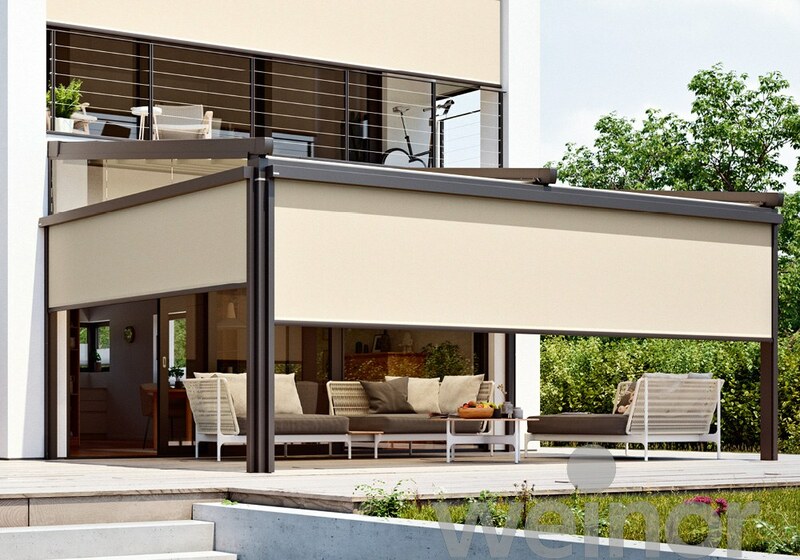 Thanks to its compact design, the many versions offer versatile protection against prying eyes and the weather, it is a real all-rounder among vertical awnings. 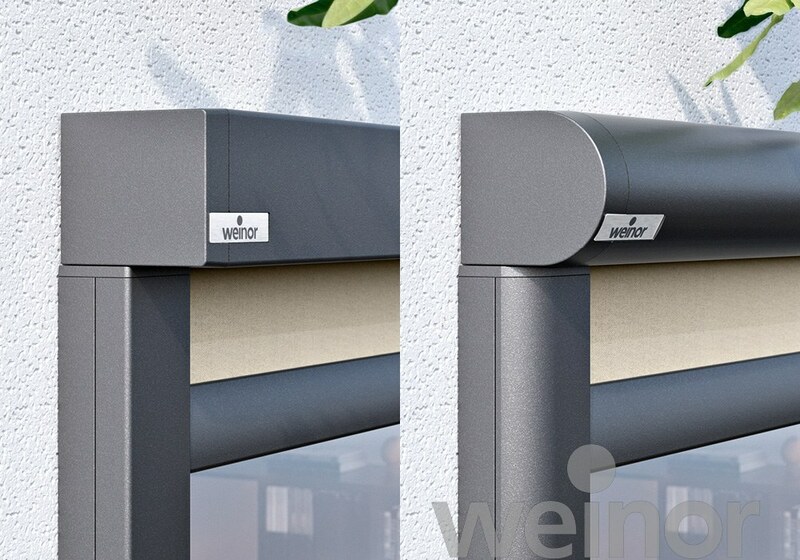 And its unobtrusive design gives a great look to any facade in any application. 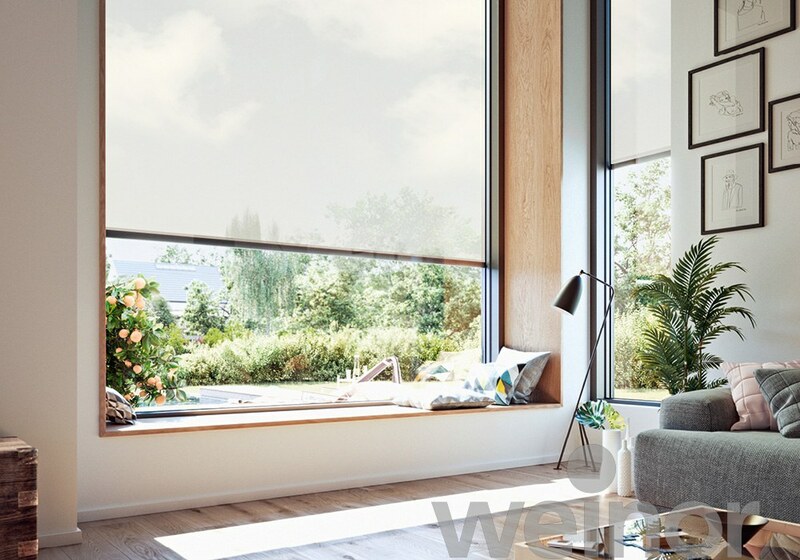 Thanks to the patented OptiFlow system®, the cassette even looks very small and subtle with very large fabrics up to 6 metre wide. 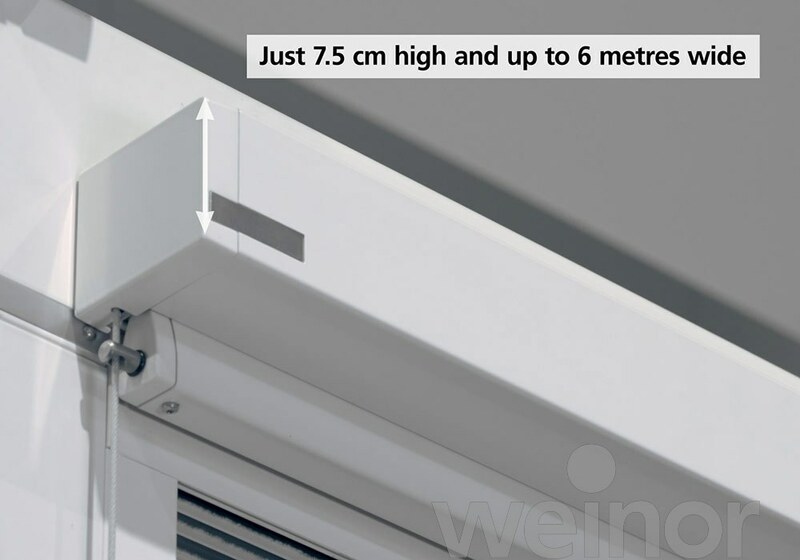 It measures just 7.5 cm for the rail and rope, regardless of whether it’s in the round or square version. 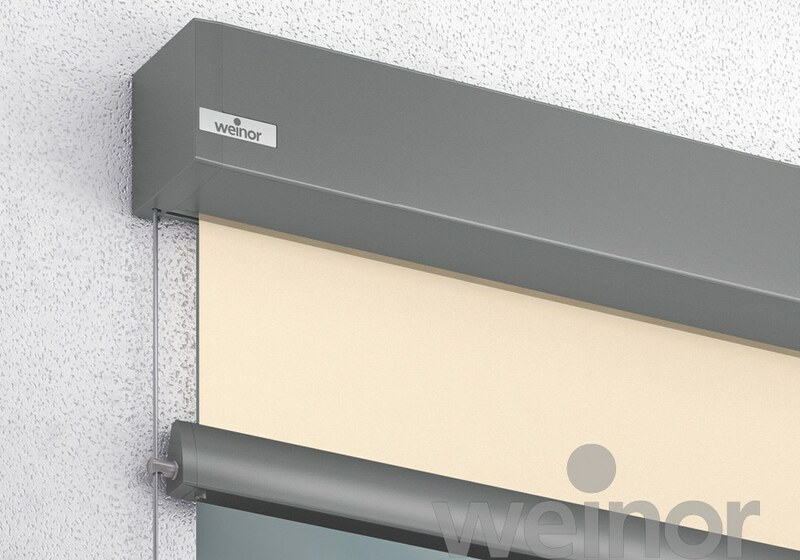 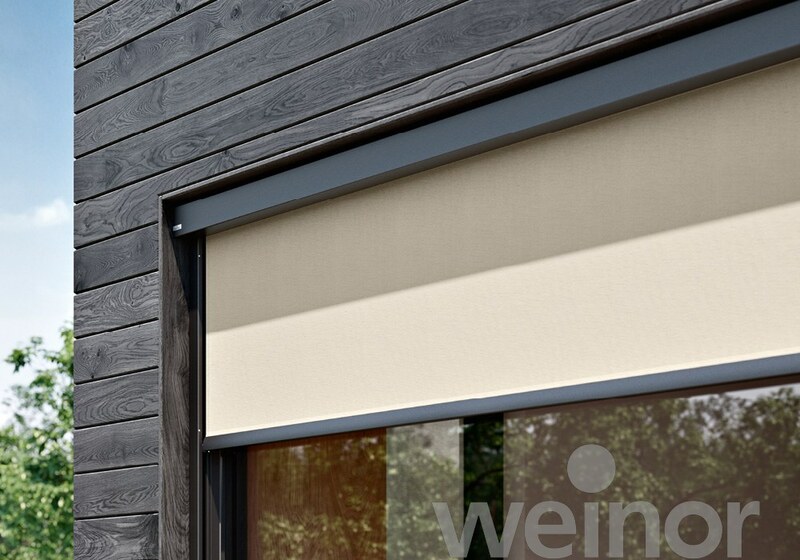 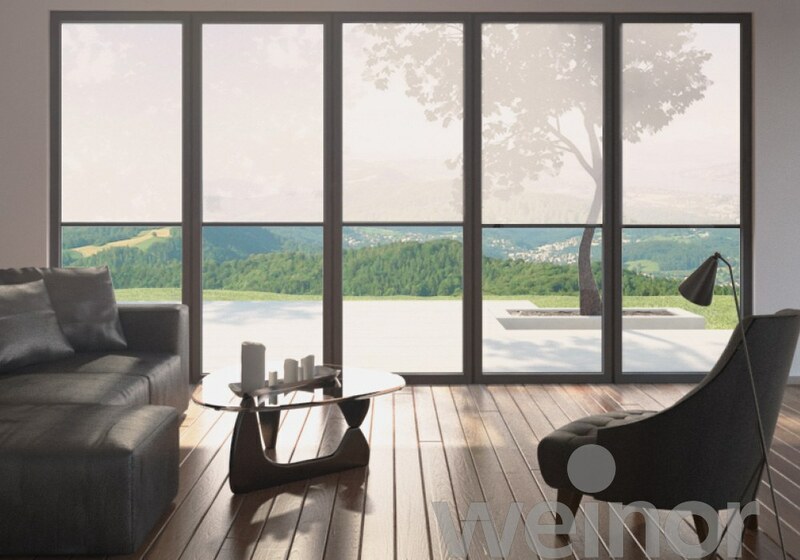 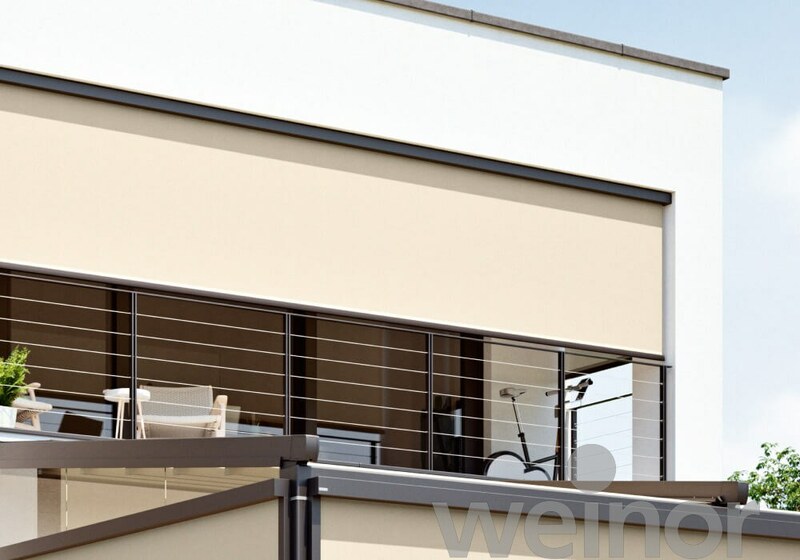 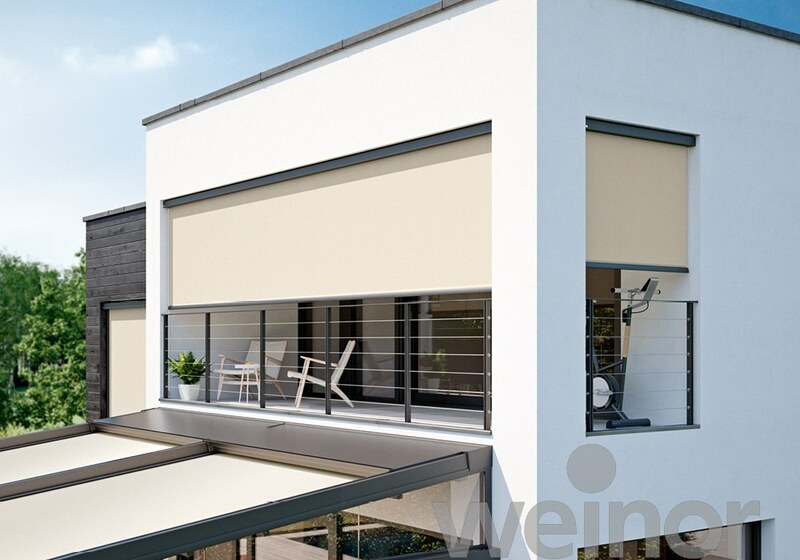 As an alternative to a sunshade, VertiTex II also offers privacy and sun protection on the balcony. 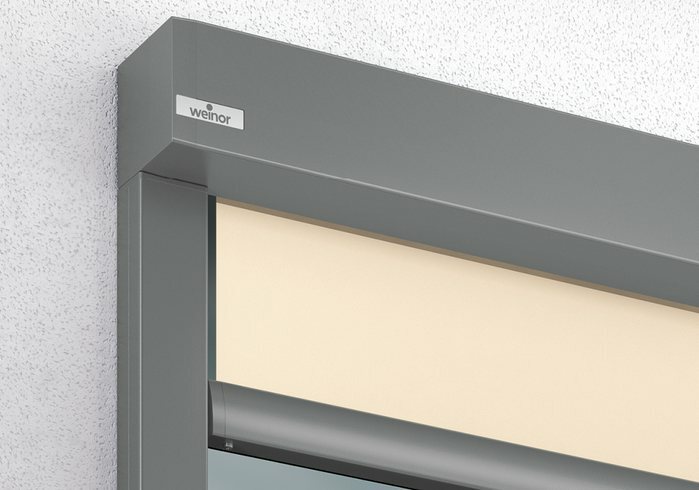 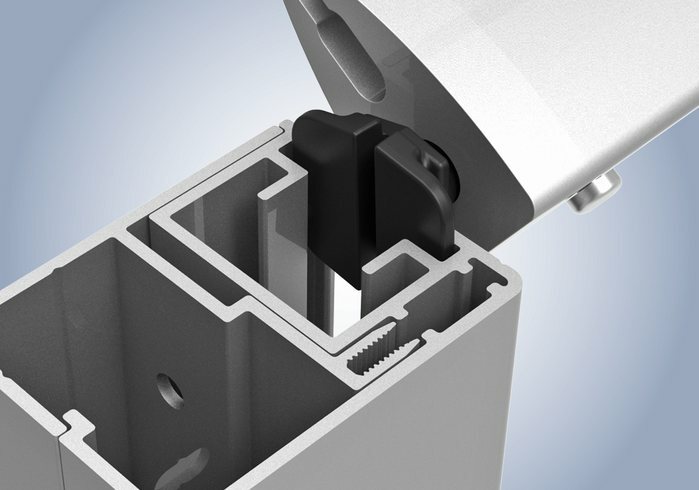 Whether it’s round or square, the VertiTex II cassette adapts perfectly to your building’s architecture.